To become a successful auto appraiser, you'll have to love cars and know a great deal about them, such as the various auto makers, models, styles and resale values. There's much more to being an auto appraiser than judging a car's current condition against established guides--such as the NADA guides and Kelley Blue Book--that list used car prices. You'll need to know production histories, the accessibility of parts and much more to deliver an accurate appraisal of an automobile's true value. 1. Learn all you can about cars. The most successful auto appraisers are people who have had a lifelong love affair with all things automotive. If you're starting from scratch, a good place to begin is with NADA Guide or Kelley's Blue Book or an equivalent publication that lists the resale values of every car that every manufacturer ever produced. 2. Read, read, read. Pick up books on auto appraising and apply the lessons they contain to real-life examples. Learn both the cosmetic and mechanical features and issues that can increase or decrease a car's worth. 3. Consider specializing in a particular make of automobile. There is a great deal to know about the particular features of specific makes and models. If you don't want to limit yourself, consider specializing in broad branches of automobile production, such as Japanese imports or domestic American "Big Three" brands. 4. Check with local community colleges to see if they offer any specialized instruction in auto appraising. While there is no dedicated licensing board for auto appraisers, people working in the profession are expected to be able to complete standardized appraisal report. Before you can become an auto appraiser, you'll have to know enough specific information about cars to be able to complete an appraisal report properly. 5. Work in automobile insurance, or with an established appraiser to gain the experience you need to build your confidence and professionalism. Most auto appraisers come from a position of selling auto insurance, a job that itself requires advanced knowledge of automobile values. 6. 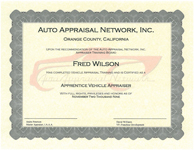 Join a professional network once you've built the necessary skills and experience required to become an auto appraiser. The increase in online auto sales has also increased the demand for auto appraisers and inspectors, since people often purchase cars over the Internet that they can't physically go see themselves. Companies such as the Auto Appraisal Network can market your appraisal services on their websites, helping increase your volume of business. 7. 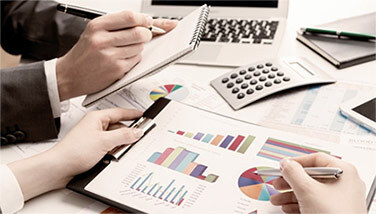 Advertise your auto appraisal business, expecting that it will be part-time work, at least until you get up and running. Note: Prior work experience as an auto mechanic, car builder or at least having a thorough knowledge of automobile mechanical systems, is of enormous value to an auto appraiser.